Posted on April 25, 2018 at 11:45 am. After a day in the sun and sea, go on a culinary adventure, be it a local dish or comfort food. Unwind in the rooftop jacuzzi, enjoy smoothies and mocktails from our juice bar and use our free high-speed WiFi to keep your friends and family updated on your tropical escapades. Adventures to remember, food to look forward to and service with a smile. For the outdoor minimalist who’s looking for a cosy room to recharge. It’s a compact room but has everything that you’ll ever need! All rooms are equipped with a television for the occasional rainy or lazy day. Breakfast is included. 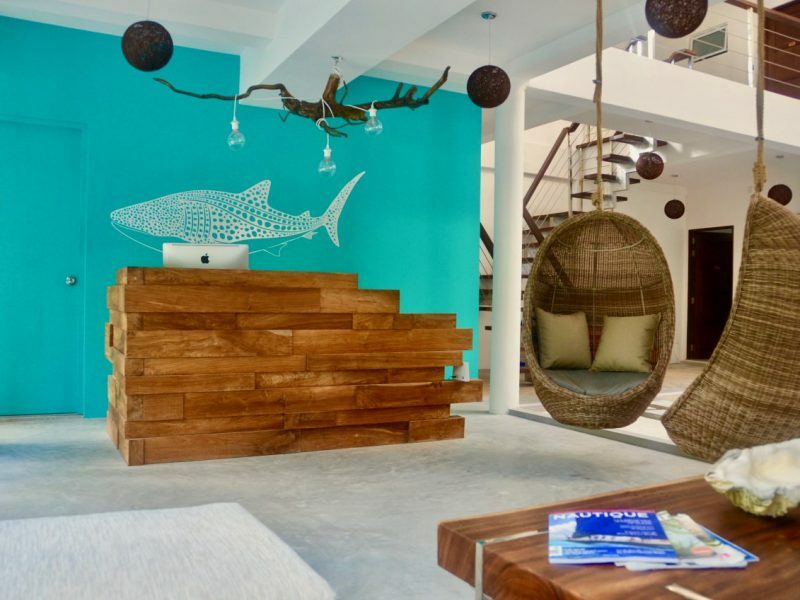 The hammock in this room is partly inside, due to the smaller balcony. 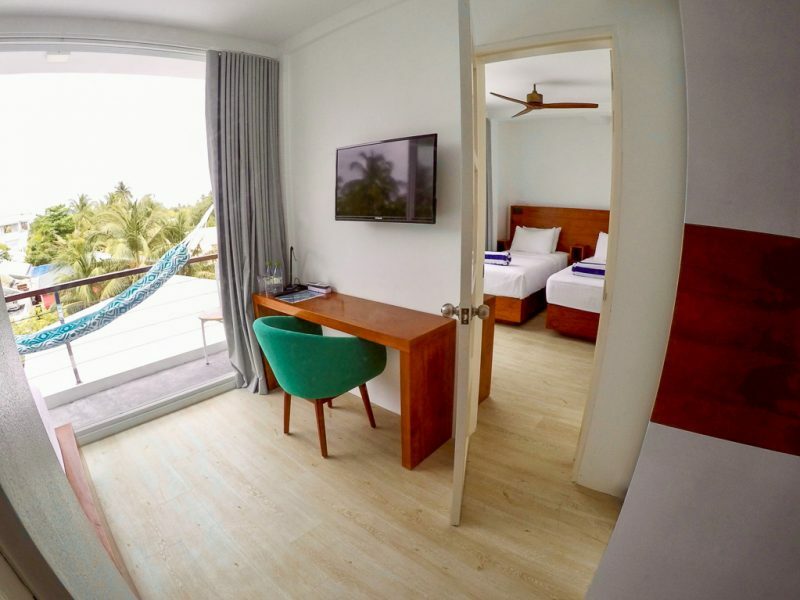 Our popular deluxe rooms all have the cosy benefits such as TVs, comfortable beds, fridges, etc. Is it getting too hot outside? Hop in your hammock! Breakfast is included. 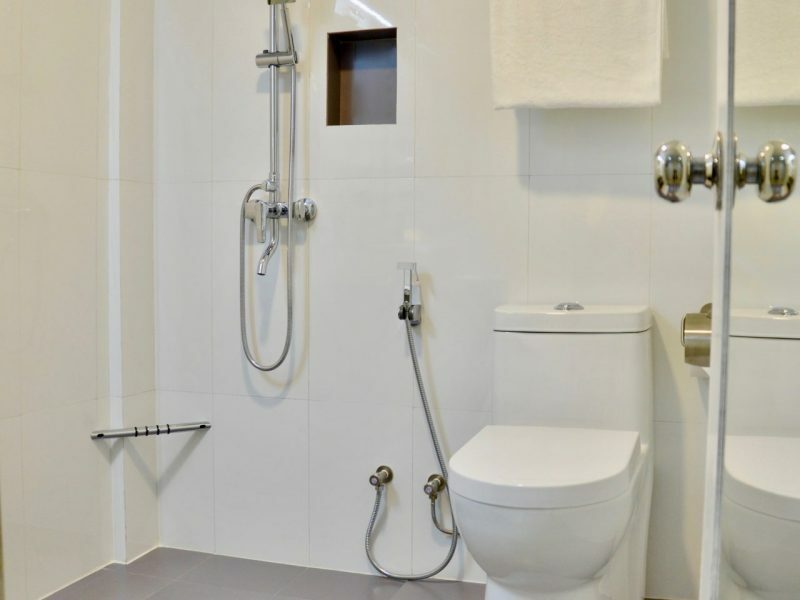 The standard rooms have a larger bathroom than the Compact Room. For the select adventurers. The suite is the size of two of our typical rooms. You’ll be able to work in the living room if you’d like or relax in the large balcony. The bathrooms are equipped with double vanities, a shower and a bathtub. All rooms are equipped with a television for the occasional rainy (or lazy) day. For the adventurous family/group. 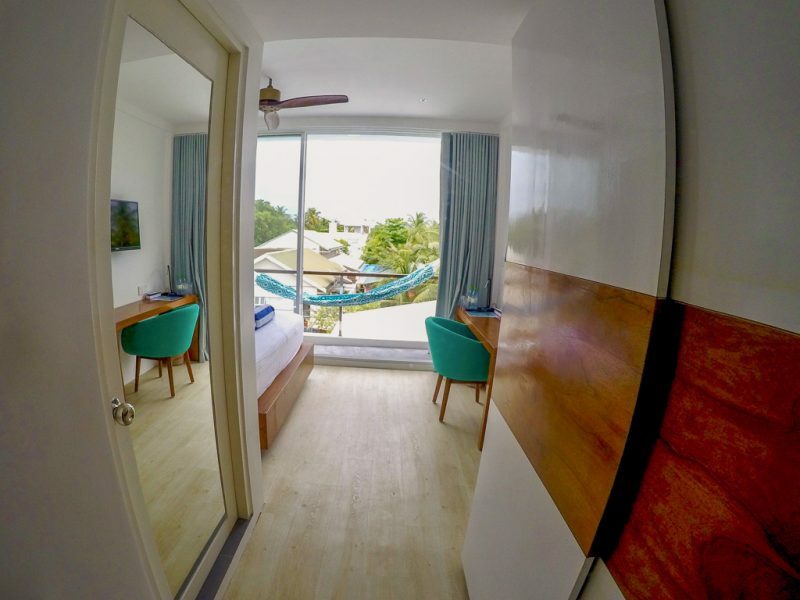 Similar to our standard rooms, our connecting rooms are comfortable, yet compact and efficient accommodation with smart, space-saving solutions. 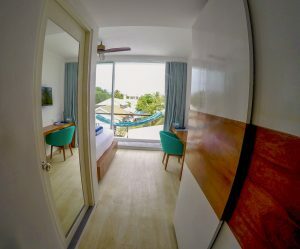 Our connecting rooms are ideal for a small family or travelling friends! The rooms (two people each) are connected by two doors, both of which are lockable. 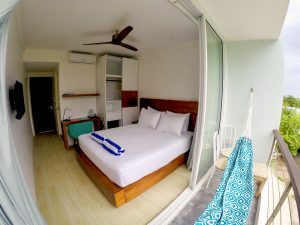 All of the rooms are also equipped with a television. Breakfast is included. Take one connecting room for the price of a Standard room. Take both rooms and get a better deal on the rate! Our rooftop is equipped with two jacuzzis and a tanning deck. During the evening it is possible to have dinner under the stars! We have a juice bar as well, ready to serve fresh fruit juices and smoothies! We understand that some of our guests would like to stay connected for work. Fear not! We have a dedicated high-speed fibre line (50 MBPS). How do people wake up without a proper cup of coffee? 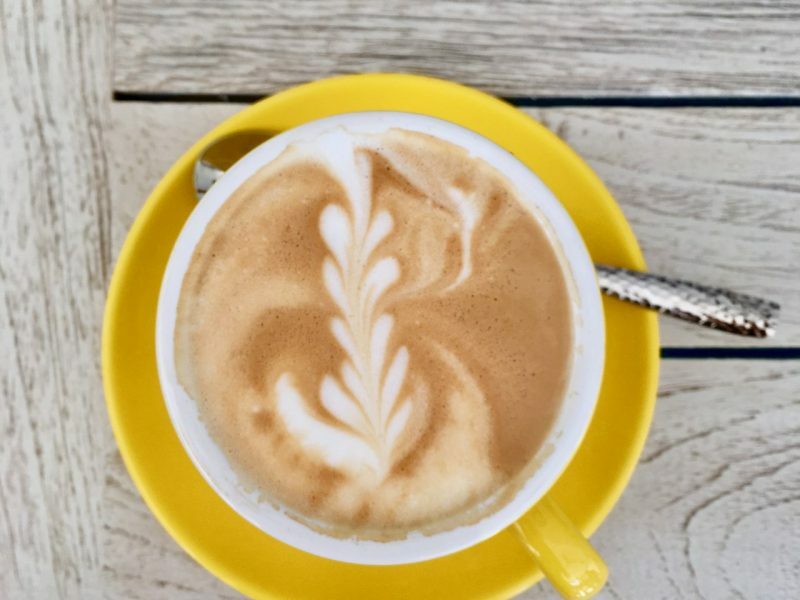 We grind our freshly purchased coffee beans into delicious espressos, cappuccinos, cold brews and other coffees! 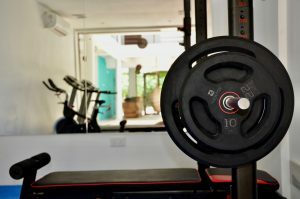 Your workout routine doesn’t have to go on vacation! 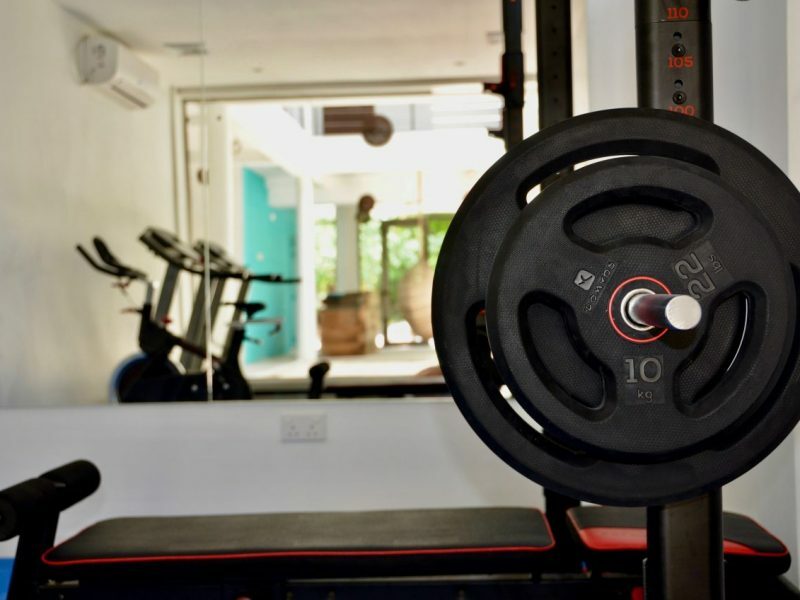 Eat as you wish before burning those calories in our complimentary gym. We hope all the splish-splashing has worked up your appetite! 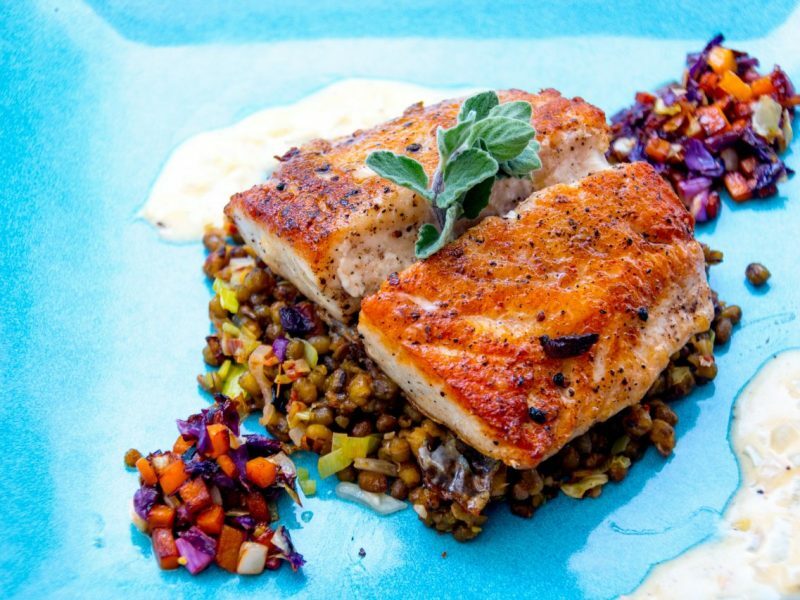 As foodies, our restaurant makes no compromises and we use local products whenever possible. On Dhigurah, we locally grow coconut, breadfruit, screw pine and chilli. You’re right! The seafood is fresh from the ocean. If items aren’t readily available in the region, we source responsibly. Don’t hesitate to ask us where your food is from. We strive to keep our menu simple and delicious. If you have any special dietary requirements, please let us know in advance so that we prepare an alternative meal for you. Please, keep in mind that in the Maldives, pork and alcoholic drinks cannot be consumed on any non- resort/local island. We welcome you to explore the underwater world by learning how to dive! If you are already certified, hop aboard the ‘Dhoni’ (boat) and be amazed by our surrounding nature. South Ari Atoll is well-known for its amazing variety of fish and rich ocean life. Groupers, sweetlips, surgeonfish, fusiliers, moray eels, turtles, eagle rays, manta rays and many many more can be spotted. Nemo and Dory await you! 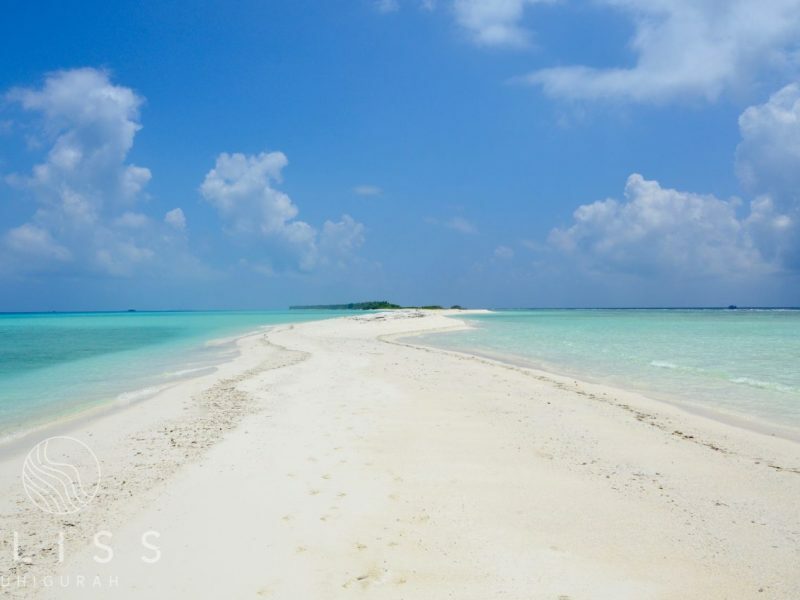 Escape the daily grind and enjoy the serenity of a sandbank for a few hours. Take out some snorkelling gear to explore the surrounding reef and have some refreshments under an umbrella. Gentle giants 12 months per year! Board a traditional Maldivian boat (Dhoni), and cruise along the reefs of Dhigurah and neighbouring islands in search of these gentle giants! Once spotted*, jump in and swim alongside the largest fish on the planet! The British led Maldivian Whale Shark Research Group, who are based on Dhigurah, have recorded over 300 whale sharks in our area. The average length is 5.92m, which makes them “teenagers”. The whale sharks are spotted all year round, but inclement weather conditions can make them harder to find. For centuries, the Maldives was primarily a nation of fishermen. 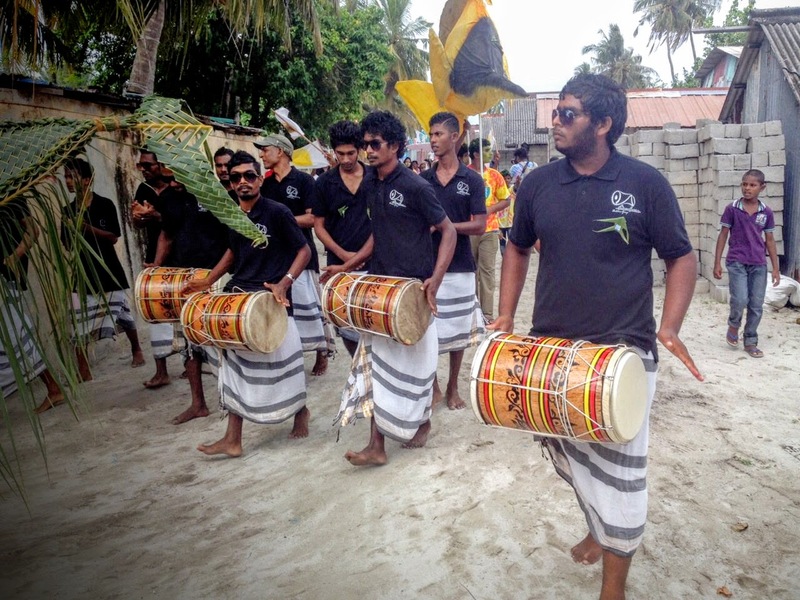 Experience the traditional fishing lifestyle by joining the inhabitants of Dhigurah on their fishing adventures. Throw out a fishing line from an anchored boat and find out what the ocean has in store for you! 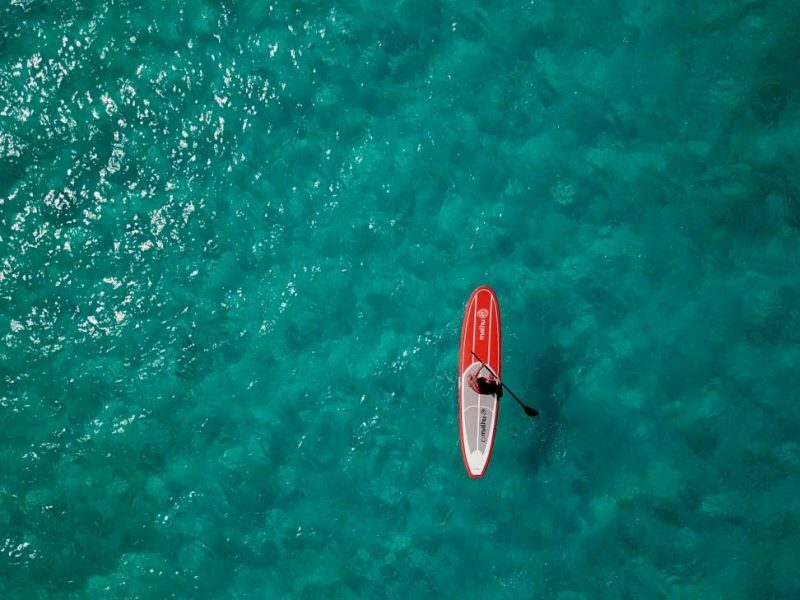 Standup paddleboard or Canoe Be one with the sea and explore the shoreline on a canoe or a SUP. Jetski, waterski, wakeboard, banana, fun tube. Ready to get your adrenaline pumping? 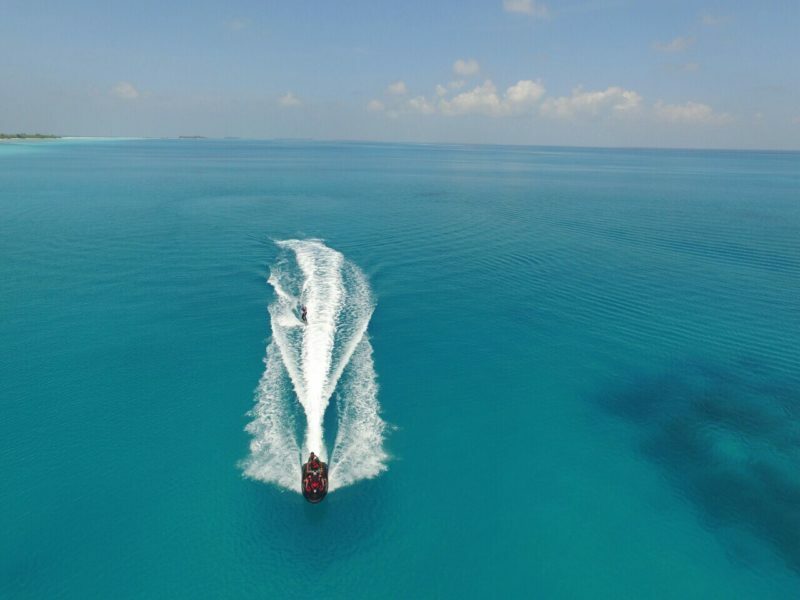 Jump aboard our 260 HP JetSki! Pods of dolphins enter South Ari atoll early in the morning. Rise early to catch a glimpse* of Bottlenose and/or Spinner dolphins! On rare occasions, smaller pods for 4 to 10 dolphins merge to form a superpod that can range anywhere from 50 to over 100 dolphins. On the beach! 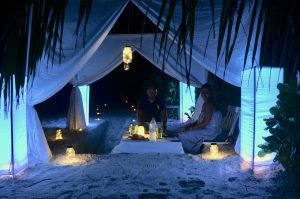 Surprise your loved one with a romantic dinner on the beach! Let yourself be amazed by the chef’s menu pick, or have a chat with him to select your favourite meal in this tropical paradise! 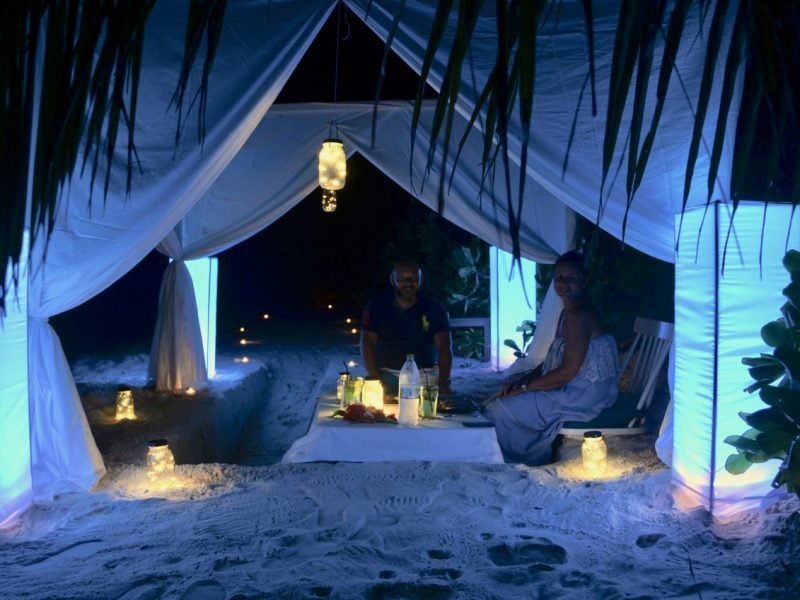 Stroll barefoot on the beach when the sun is setting, lead your partner to the candle lights at dusk, enjoy a romantic dinner and relax in a bean bag by the campfire under the stars. Then, with a little luck, swim with bioluminescent plankton at night! Posted on June 8, 2017 at 2:23 pm. 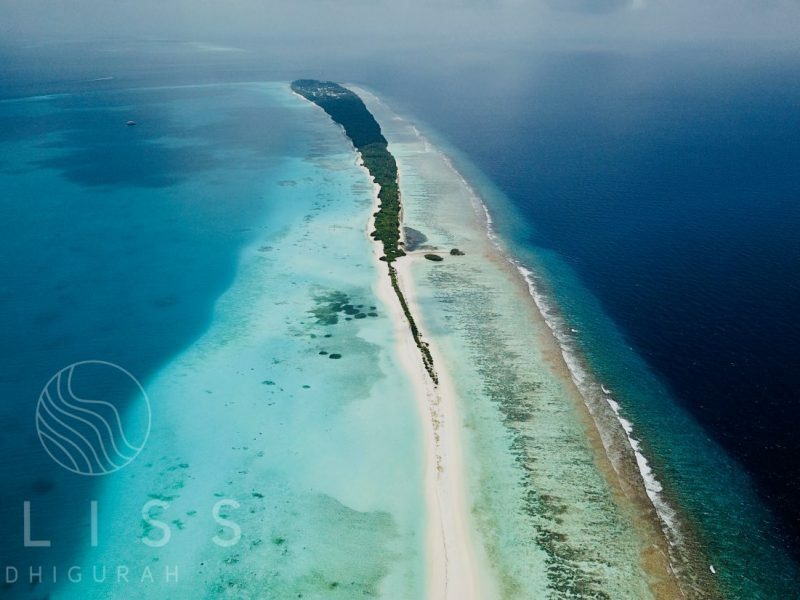 LUX* South Ari Atoll in the Maldives is set for this summer, offering guests a total escape from everyday life, in a relaxing private island setting where the atmosphere is beach house chic.This picture perfect island of Dhidhoofinolhu, home to LUX* South Ari Atoll, is one of the largest islands in the Maldives. A slice of tropical heaven, where laidback luxury blend itself with the warmth of traditional Maldivian hospitality, and complemented by sparkling events and experiences, LUX* South Ari Atoll is as ideal for families and groups of friends as it is for lovers’ romantic moments. In addition to its stunning private villas with infinity pools, there is an almost unique wining and dining choice between eight restaurants and five bars, including a famous Beach Rouge bar and restaurant. 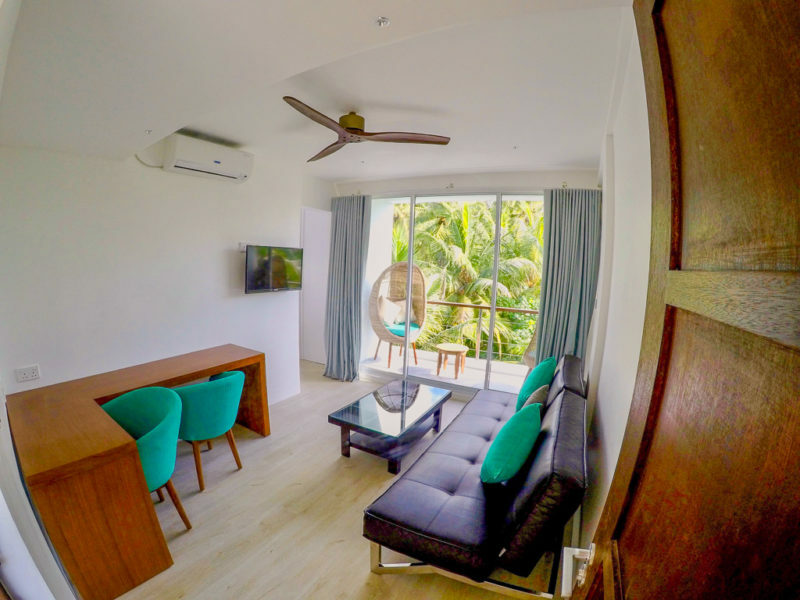 Following a major refurbishment, LUX* South Ari Atoll has now brought fashionable island living to the Maldives for a real taste of the dolce vita. 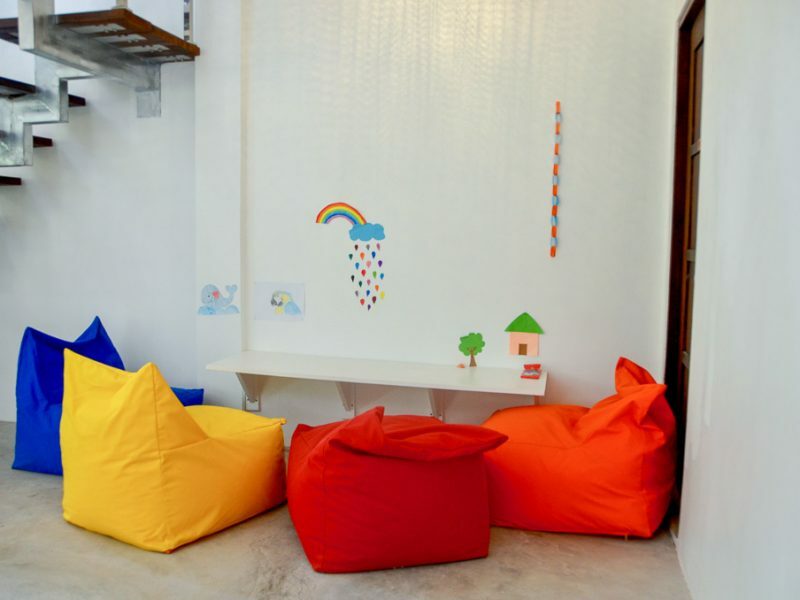 Guests will be delighted, even amazed, by the wonderful avant-garde design style, the work of P49 Deesign, Thailand’s foremost interior designers. 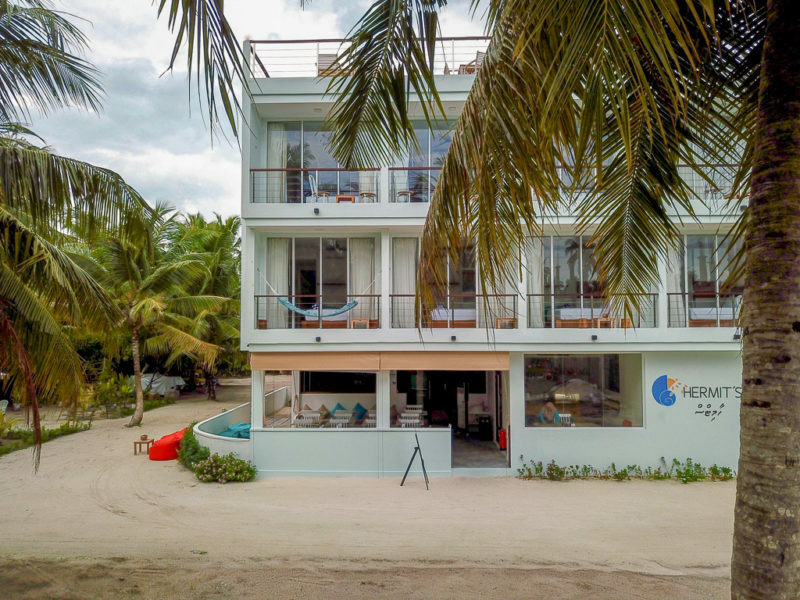 P49 Deesign has created to perfection a stylish atmosphere that is at once lively, playful and fun, delivering an unconventional atmosphere that integrates beautifully into LUX* South Ari Atoll island living. No detail has been overlooked – even small areas like the ladies and men’s restrooms have become attractive features in themselves, as the aim has been to create a bright, fresh feeling throughout the resort. There are particular spots on the island that have always enjoyed the most incredible sunrises and sunsets but LUX* South Ari Atoll now offers some really delightful moments and surprises everywhere guests turn. 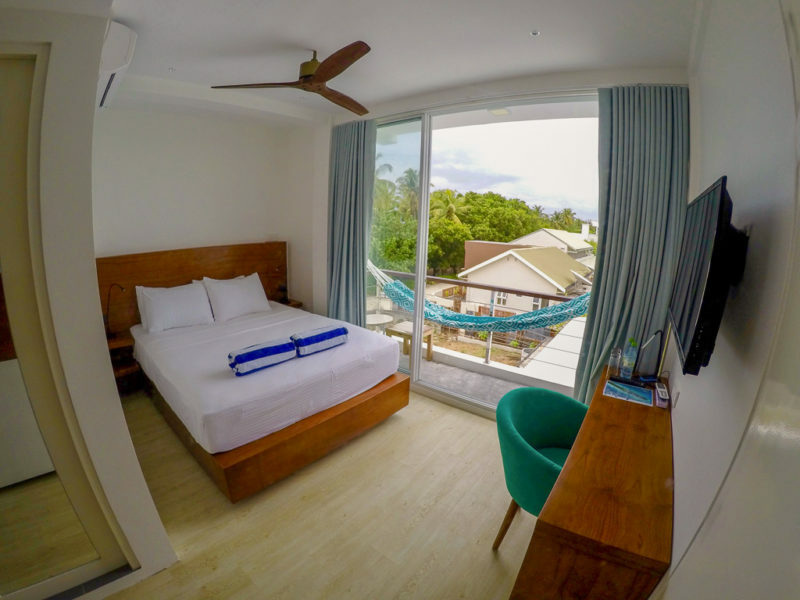 The accommodation is an experience in itself whether guests choose to stay in rooms or villas dotted at the water’s edge alongside four kilometres of fine sandy beaches or perched on stilts above a crystal clear lagoon. 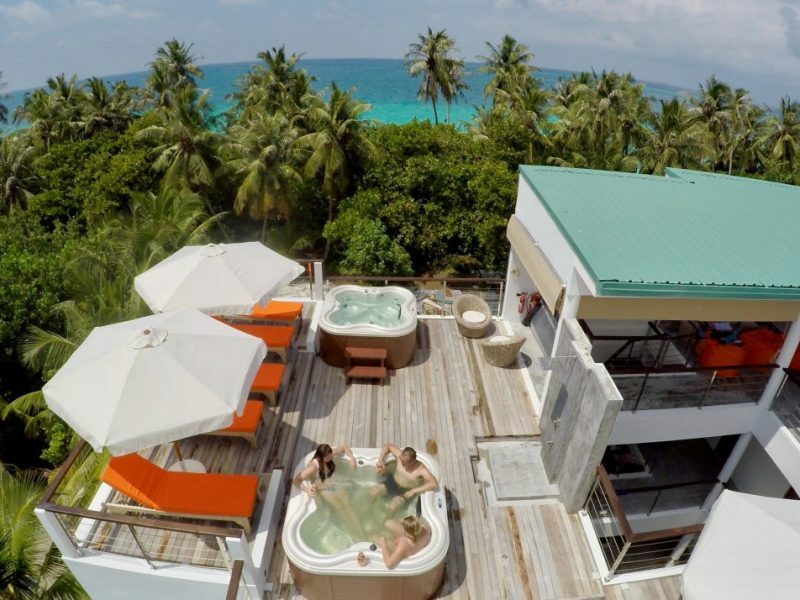 There is an astonishing range of choices, including heavenly Temptation Villas, suspended over the ocean with private overwater pools, and Beach Villas also with their own pools. 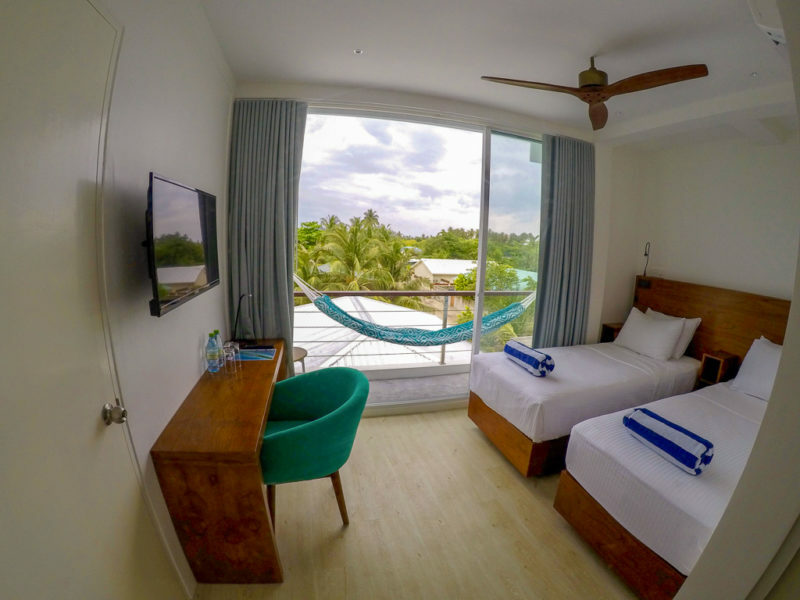 Every room, suite and villa at LUX* South Ari Atoll has been designed to make the most of the enchanting surroundings. 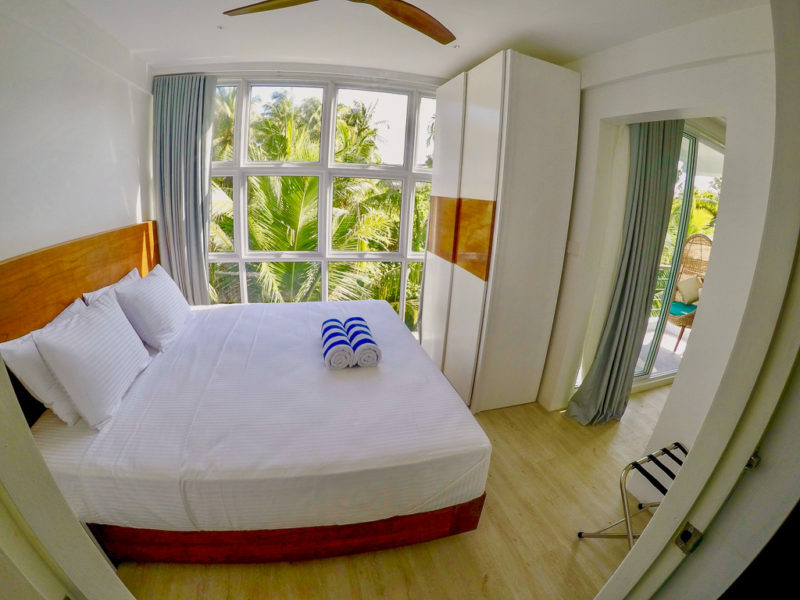 Light, airy and wonderfully spacious, decked with splashes of bright island colour and with sweeping views of the beach and sparkling lagoon, each room breathes understated luxury. 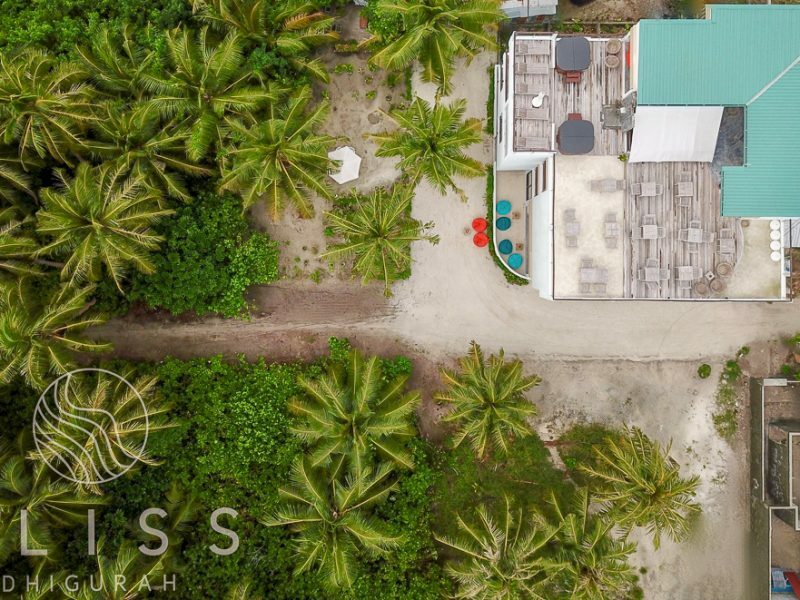 Staying at LUX* South Ari Atoll gives guests the feeling that they’re living in a picturesque village in the middle of the ocean. For those staying in a private overwater villa there’s no better way to explore the island than by hopping onto the bicycle with which each of them is equipped – or on foot, as in all secluded places. LUX* South Ari Atoll delivers everything that a LUX* lighter, brighter holiday promises, including its dine around programme where halfboard, fullboard and all-inclusive guests can select from an amazing eight restaurants and five bars. The spectacular choice includes a sophisticated take on a bustling Asian night market – the spectacular East Market standing on stilts over the water. 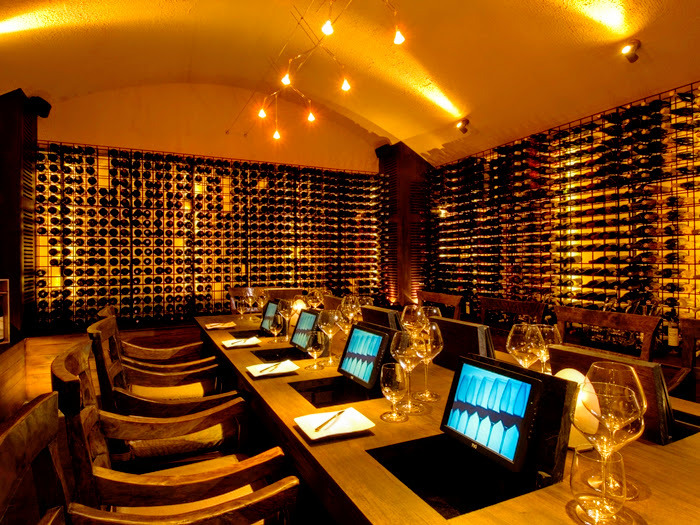 It provides a feast in itself, where guests can enjoy the savours and flavours of Vietnam, Thailand, Sichuan and more. Meanwhile, Umami is the place for fine wining and dining with its sushi open kitchen and teppanyaki and robata counters, as well as the Maldives’ largest selection of sakés and Japanese whiskies. 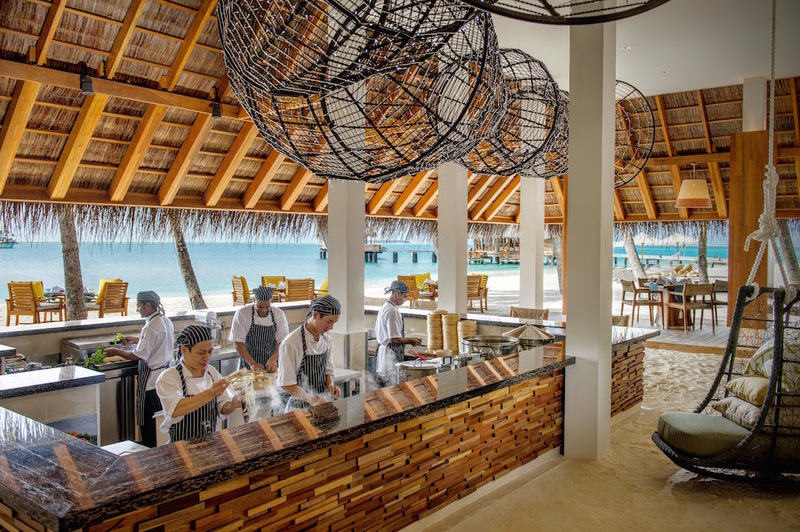 For more international cuisine, guests can head to Allegria, Senses and MIXE with specialities ranging from Mediterranean to Maldivian specialities, while Beach Rouge offers beach club dining. 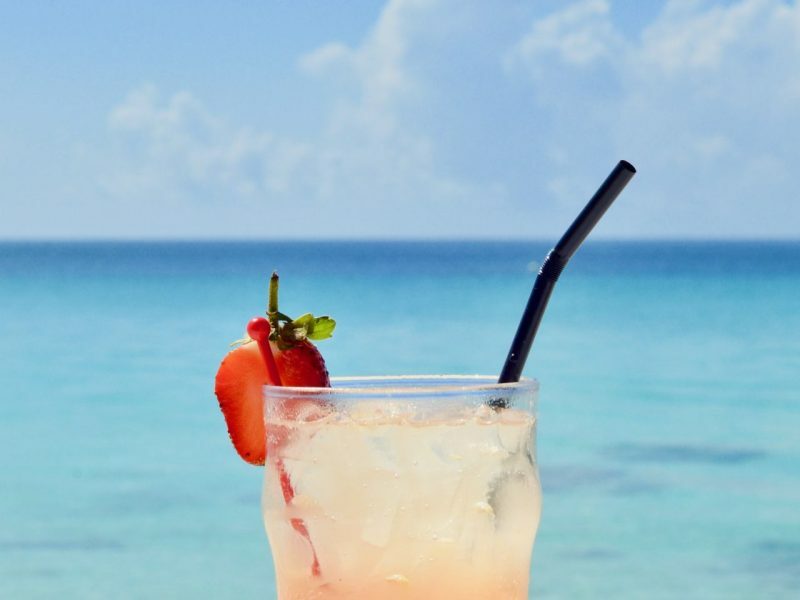 There are even occasions worth travelling for from the other side of the world as Beach Rouge, the East Market and even a sandbank regularly host music and culinary events. Where else can guests dance to a DJ with their toes in the always warm waters of a tropical lagoon or experience a taste of the best of South East Asia in a night market standing suspended over the sea? 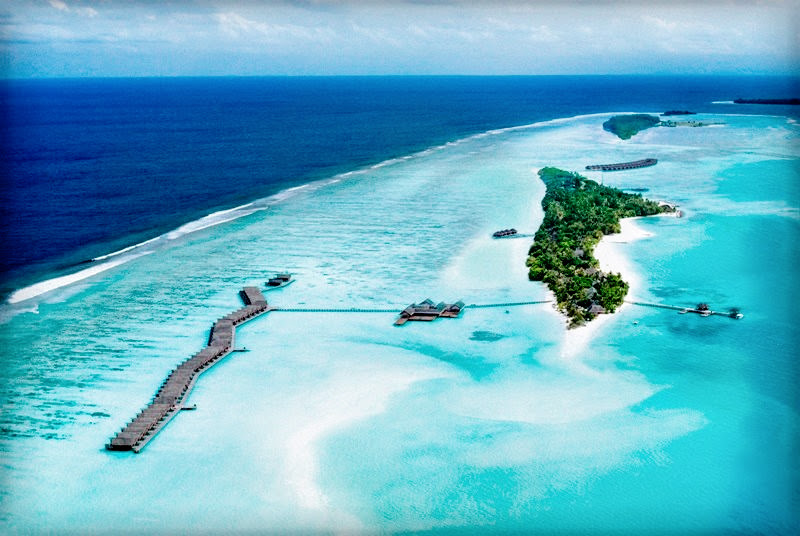 On top of all that, LUX* South Ari Atoll has many of the famous Reasons To Go LUX*. It’s not the kind of conventional resort where guests soon know where everything is. LUX* is all about the discovery of the unexpected like its LUX* Photo Fanatics studio, Junkart Studio and its Wanderlust Library. LUX*’s vision is to offer guests a different kind of luxury which celebrates life and makes each moment special. Guests may discover talents they never knew they had by signing up for LUX*’s famous and innovative expert-led workshops. 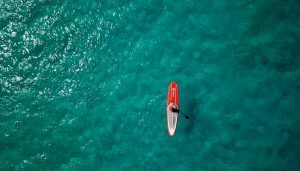 The range varies from painting lessons with Sally Conwell, the Art of Travel Writing with Juliet Kinsman and Tibetan Sound Healing with Phoebe Joel. 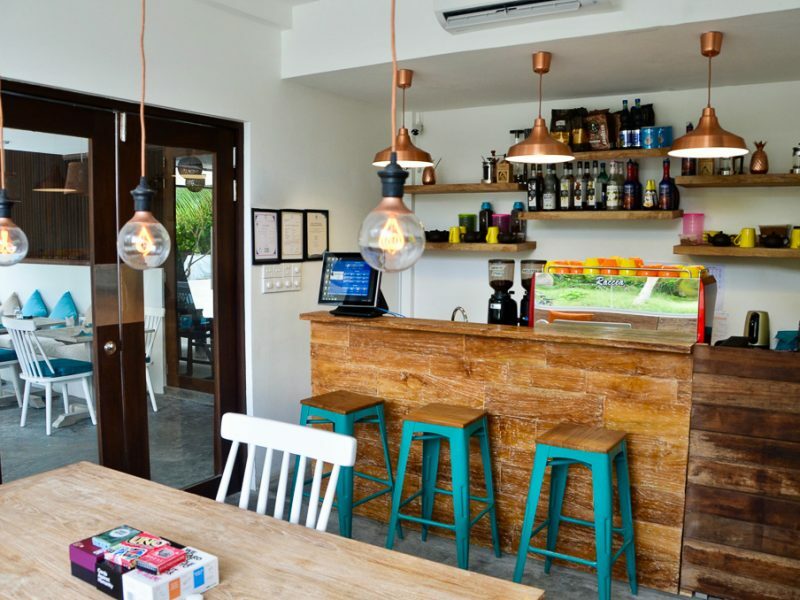 For those looking for new kinds of health experiences, there are masterclasses in DIY Kombucha, the hottest trend in health beverages, and Health Tonics with Gillian Kozicki, as well as DIY Chinese Medicine Therapies with Moxa Punk. 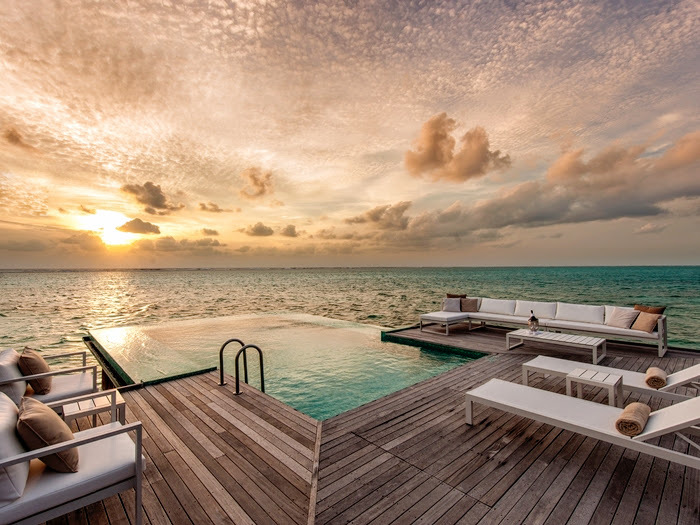 LUX* South Ari Atoll is full of wonderful sensations, where guests can expect to revel in the unexpected. And of course what sets this and all LUX* Resorts apart is the fantastic helpfulness and warmth shown by LUX* team members, an entirely different approach to helping guests have their best holiday ever. For a limited period only, travellers intending to stay at LUX* South Ari Atoll can take advantage of some very special offers. All reservations have to be guaranteed at the time of booking by credit card. Posted on May 31, 2017 at 2:38 pm. 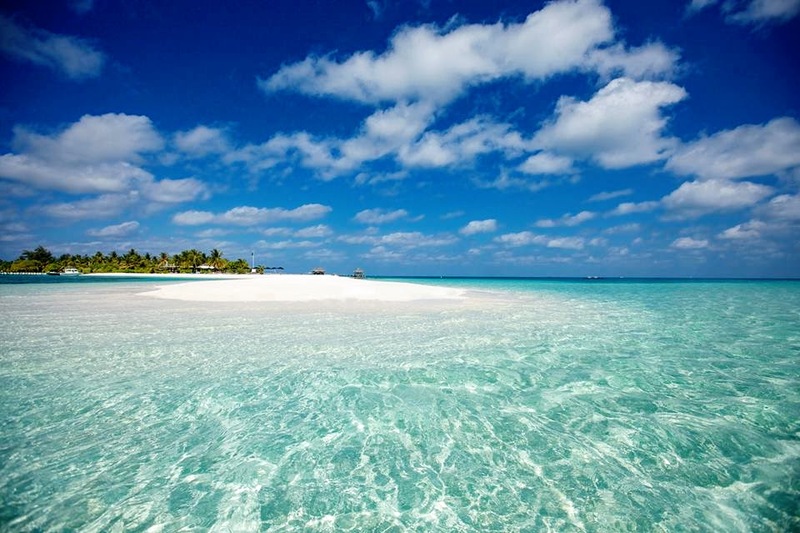 LUX* South Ari Atoll, Maldives has partnered with Emirates Airlines to offer travellers from the Middle East the chance to holiday in what is reputed as the most exciting luxury resorts in the Maldives. The offer: For bookings made at LUX* South Ari Atoll between 1st June to 31st August 2017, Emirates Airlines is offering a 40% discount on the booking of the second airline ticket in Business Class, for the Dubai — Malé route. To complement this offer, LUX* Resorts is offering a 40% discount on reservations made during the same period. Book directly through Emirates Holidays. Whether seeking a peaceful hideaway or active adventure, the picture-perfect island of Dhidhoofinolhu is home to the newly reinvented LUX * South Ari Atoll, a luxury resort where your fantasy of a laid-back, desert island paradise is about to come true. Combine your stay by travelling with Emirates Airline in the business class for the holiday of a lifetime. Posted on October 4, 2016 at 6:23 am. 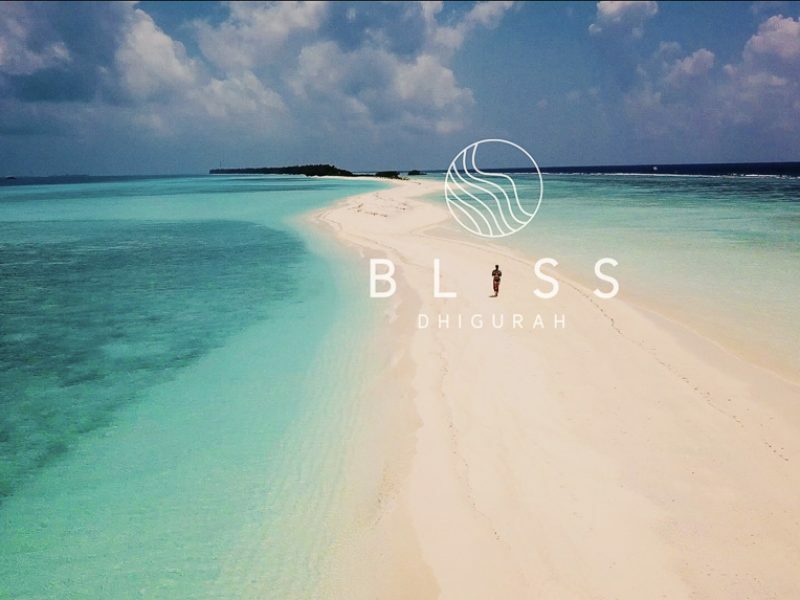 TME Retreats Dhigurah is a hotel that offers the fullest sense of intimacy on the beautiful island of Dhigurah. The property is well-equipped with modern convenience as well as amenities. The hotel is located a little far from the village, but that does not hinder guests from enjoying the unique island lifestyle of the Maldives. 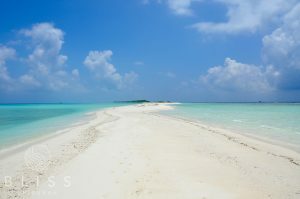 Guests can stroll along the refined, white sandy beach with a length of more than three kilometers. You will feel as though you have the beach all to your own. 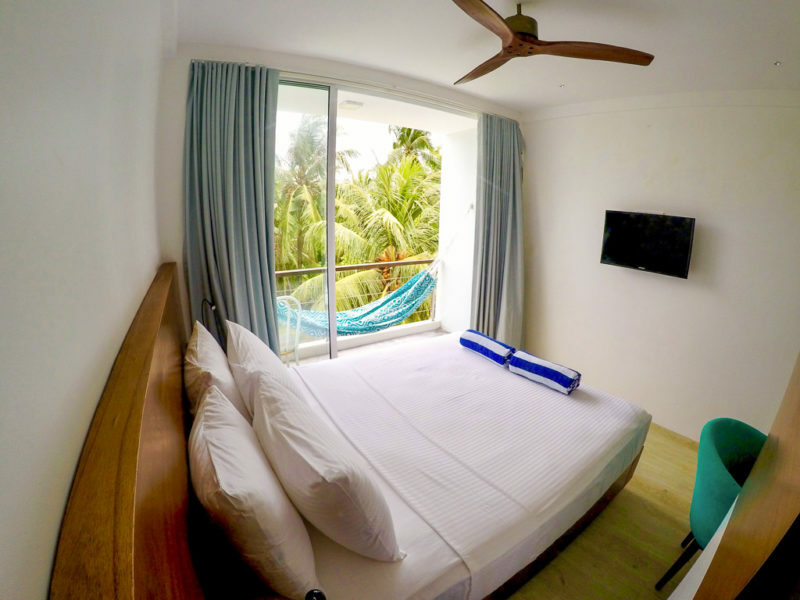 For divers, the hotel is located in the renowned diving sites such as Manta Point and Kuda Rah Thila. 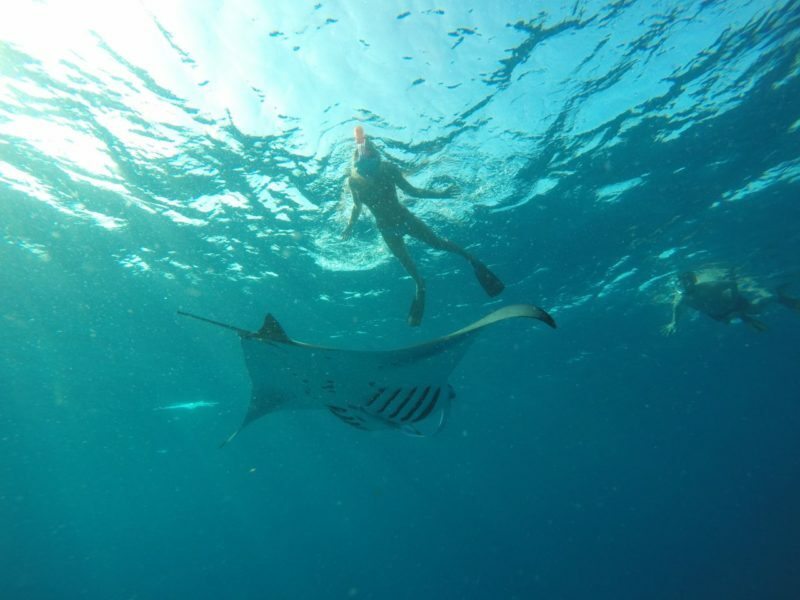 The area is also particularly popular for spotting whale sharks and manta rays. Posted on January 5, 2016 at 8:20 am. Posted on December 30, 2015 at 1:00 pm. ‘By promising a luxury holiday with a difference, LUX* South Ari Atoll has heightened the festive spirits of its guests with the newly launched Tree of Wishes on the island. Inspired by an ancient Japanese festival, the weekly appointment at the LUX* Tree of Wishes offers not only a moment to gather feelings and emotions and turn them into wishes written on auspicious red ribbons, but also opens an opportunity to learn about the local communities and support them through various social initiatives. LUX* South Ari Atoll CSR programs in the Maldives currently engage with several NGOs and among them, the Maldivian Blood Services (formerly National Thalassaemia Center). With the aim of improving the services provided to patients suffering from this hematological disorder, the resort and the Maldivian Blood Service team have signed an agreement allowing both parties to interact on a greater scale generating ways to foster cooperation among medical institutions. The charity support offered by the resort enables the Maldivian Blood Service to cater for more patients with dedicated initiatives to promote blood donation throughout the country. Guests staying at LUX* South Ari Atoll have the opportunity to contribute by placing a voluntary donation at the Tree of Wishes. All the offerings cumulatively raised by the resort are used to support local charities but by tying a ribbon to the branches of the banyan tree, each guest becomes part of the annual Tree of Wishes Lucky Draw. During the event, one ribbon is picked at random and the lucky owner wins a free holiday at any property within the LUX* Resorts and Hotels portfolio. ‘We are thrilled to have our guests participating in this important cause with us’ says General Manager Glenn Daniels ‘as we believe that holidays are not only a moment to relax and unwind, but also a celebration of life and that embodies our commitment to support local communities’. 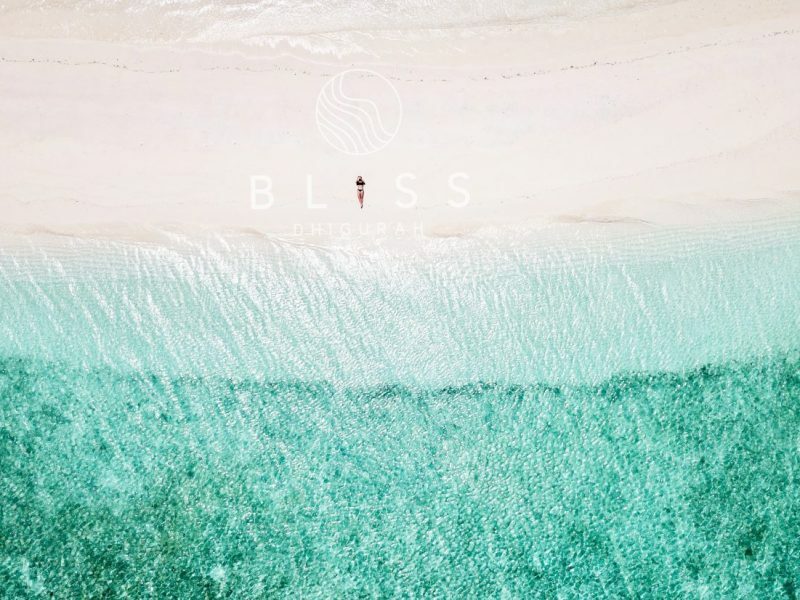 Keeping not only its guests’ wishes at heart but also the environment we operate in, LUX* South Ari Atoll aims to translate corporate responsibility into social development and continues to deliver an inspiring lighter holiday experience. South Ari Atoll – Celebrating The Extraordinary! Posted on July 10, 2015 at 1:12 pm. 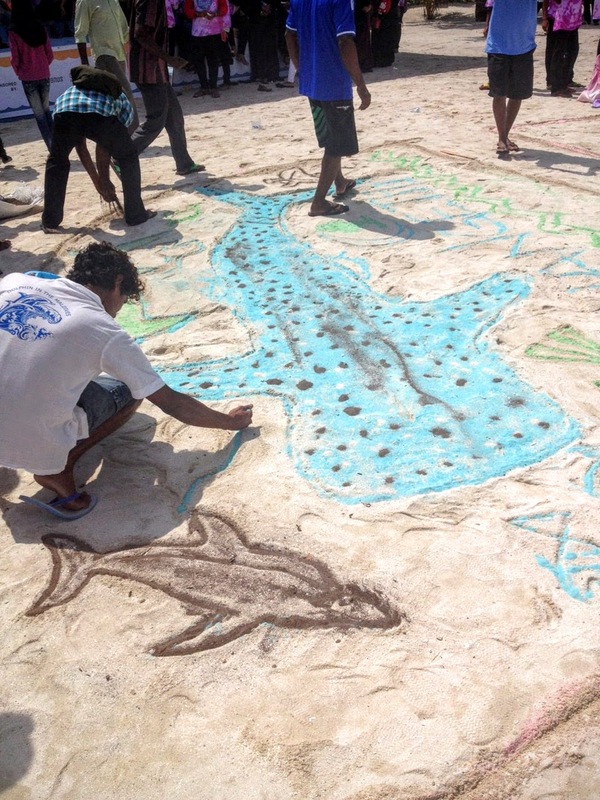 Maldives Whale Shark Research Programme (MWSRP) is collaborating with Maldivian Artists to celebrate the whale shark in the Maldives’ third annual Whale Shark Festival. 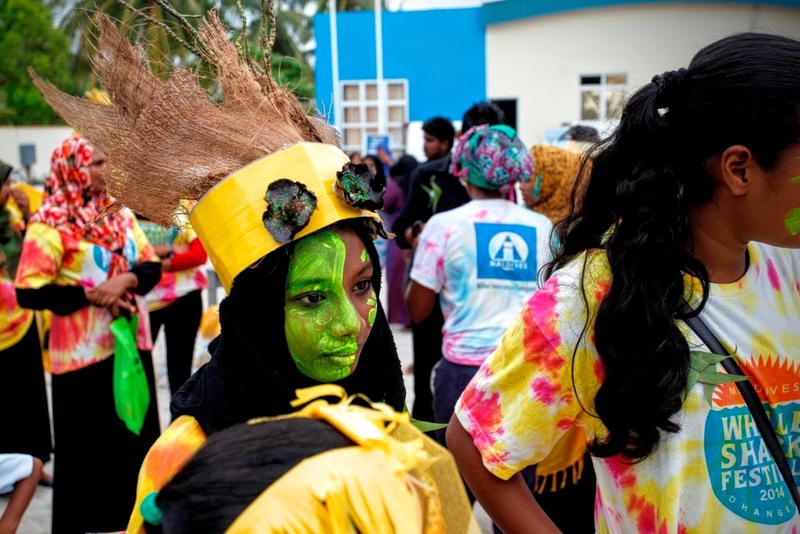 Hosted on the beautiful local island of Dhidhdhoo, this year’s Festival will be the culmination of months of creative workshops and collaboration in which community members work together to create incredible artwork representing their island culture and celebrating the marine diversity of South Ari atoll and its Marine Protected Area (SAMPA). 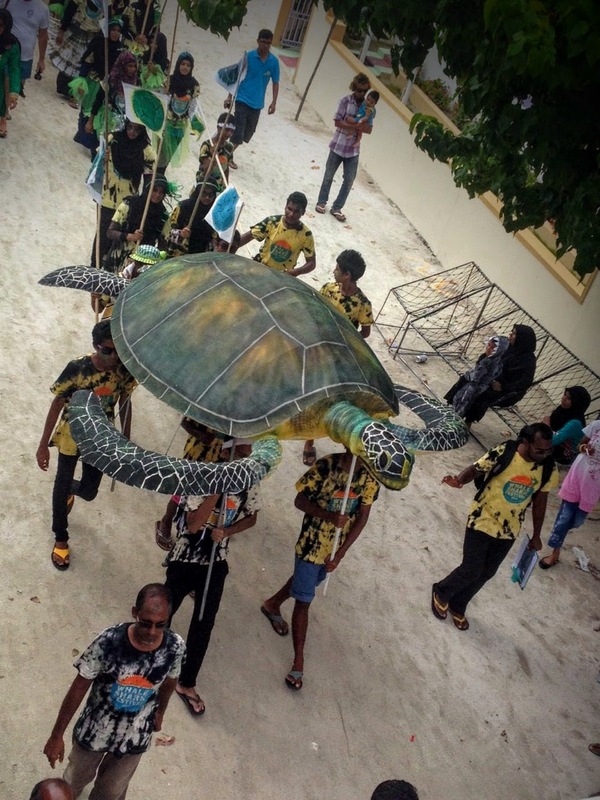 This unique Festival, driven by national and international collaborations between dynamic Maldivian artists, marine biologists, and scientific researchers, places island communities at the forefront of creative decision making. Promoting intergenerational exchange, the Festival provides vital opportunities to celebrate both marine environment. Building on the success of last year’s festival, this year the festival will be bigger and bolder than ever before. 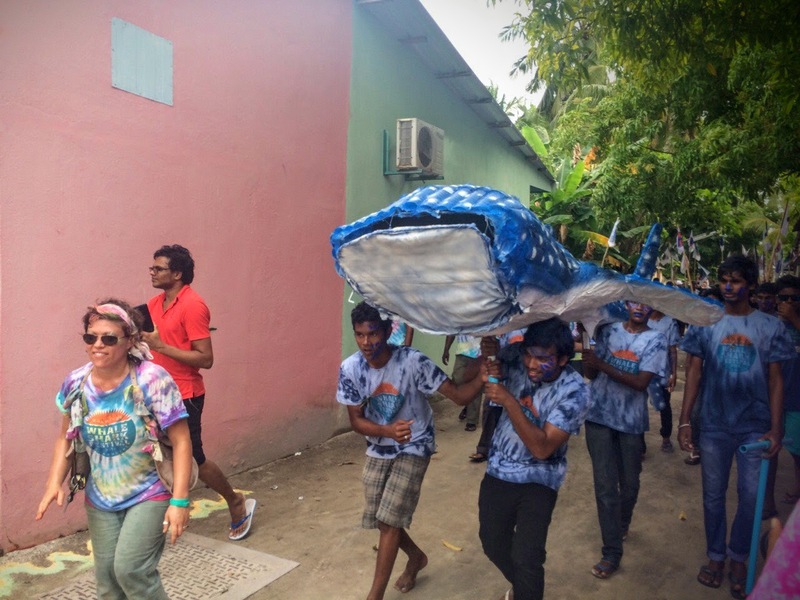 The Festival will take advantage of its new position in the Maldives national calendar on the weekend of International Whale Shark Day, beginning with a ‘ScienceFEST’ mini-conference on Friday 28th August for teachers, community leaders and marine biologists before the whole community travels to the Dhidhdhoo for the main event on Saturday 29th August. 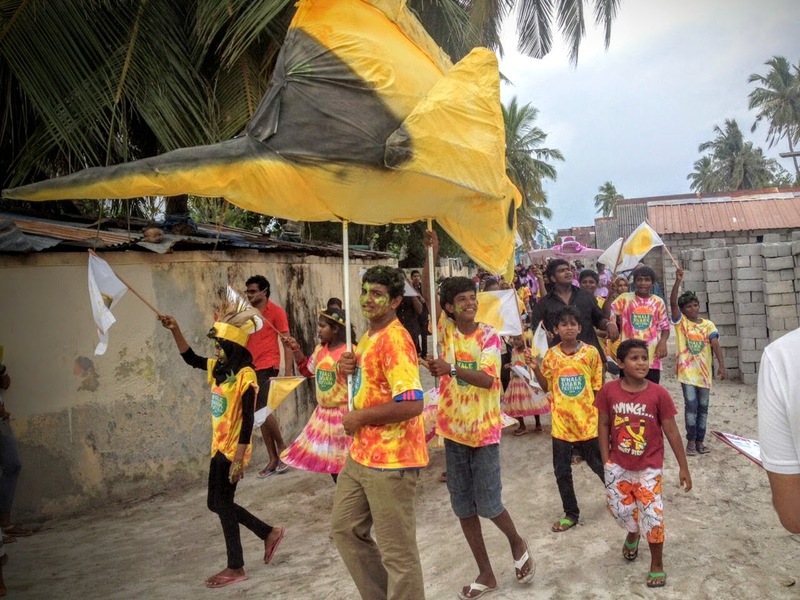 Dhidhdhoo, a small island with a big personality will host the 2015 event in style, festooned with vibrant costumes, banners, flags and puppets, it will host hundreds of school children and community members from across the atoll. Festival Co-Director Kareen Adam and Story-Telling artist Fazail Lutfi will be working again with each participating island to share and celebrate the unique stories of each island’s community, weaving traditional Maldivian dance and music with contemporary artwork to entertain and inform a diverse audience of Island residents, Maldivian creatives, scientists, and international visitors. 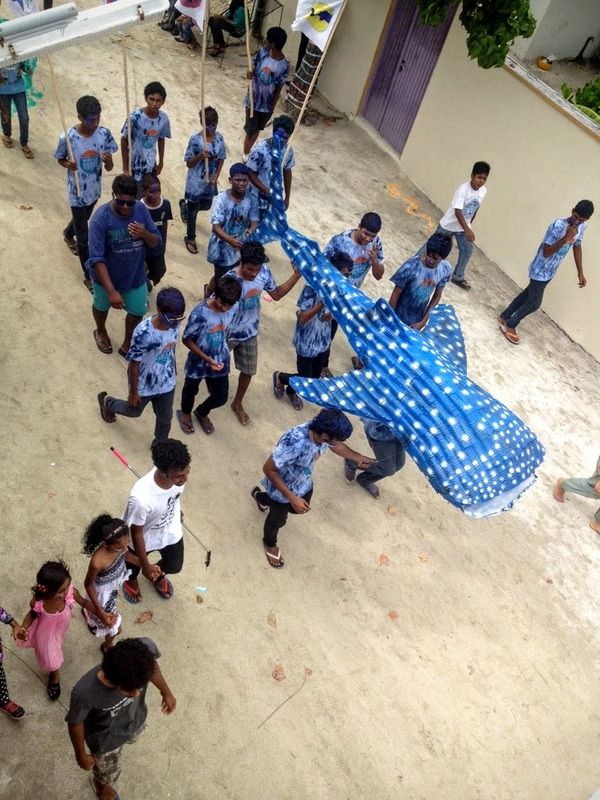 Under the guidance of professional artists like Nadee Rachey each participating island will create a large scale kinetic whale shark sculpture from recycled materials for the procession to be accompanied by endangered reef fish inspired artwork and costumes. From the Peacock mantis shrimp to the noduled sea star (Fas Ingili), this is an opportunity for artists and marine biologists to design a dynamic learning opportunity, full of independent investigation and discovery, ensuring that conservation and awareness underpin the whole of the Festival Programme. 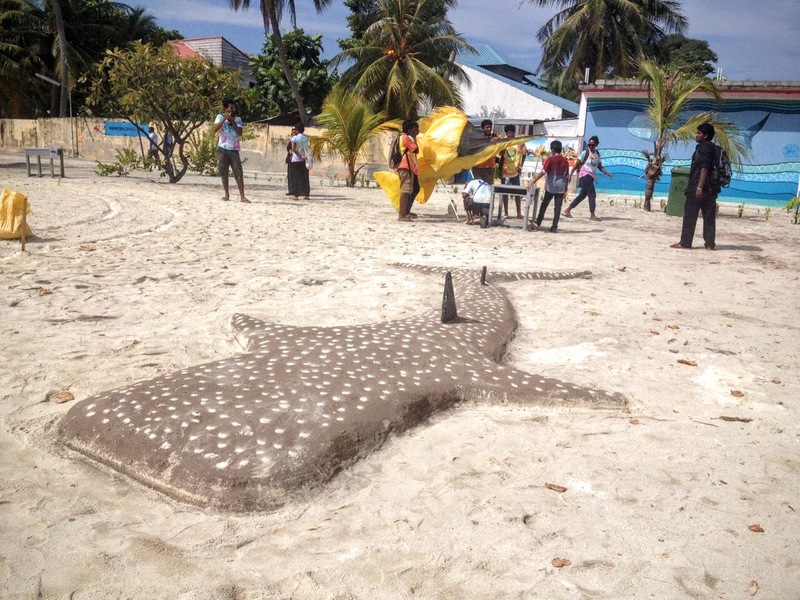 The event hopes to attract festival goers from across the atoll, Male and beyond as a yearly opportunity to celebrate the craftsmanship and creativity of the island communities and to celebrate the area’s unique role in International whale shark ecology. The 2015 festival has been created with support from Artist Sponsor LUX* Maldives, Festival Partners Allied Insurance, Visit Maldives, Mirihi Resort, Carpe Diem and Flyme, Hydration Partner 100Plus, Print Partner Novelty Print, Online Partner Maldives.com, Design Partner Emau Saleem and Audio-Visual partner DOAV, along with the support of Festival Friends; Friend of the Sea, Voyages Maldives, We Care Maldives, LaMER and Cyprea Pvt Ltd. 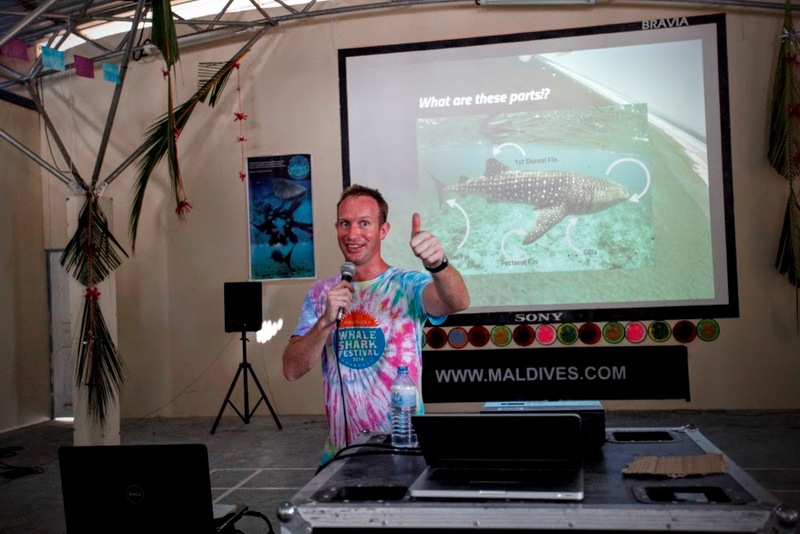 Developed by MWSRP and IUCN Maldives in 2013, the festival exists to provide the island communities of South Ari Atoll with the opportunity to celebrate the whale shark and the marine diversity of their atoll whilst promoting environmental sustainability and conservation at a grassroots level. Seeding the idea of an international collaboration between marine biologists and artists and promoting the use of community art as a tool for social and environmental engagement, the project seeks to boost local and national awareness and tourism to support future generations. 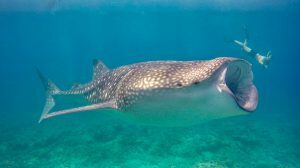 The Maldives Whale Shark Research Programme (MWSRP) is a charity that carries out whale shark research and fosters community focused conservation initiatives in the Maldives. 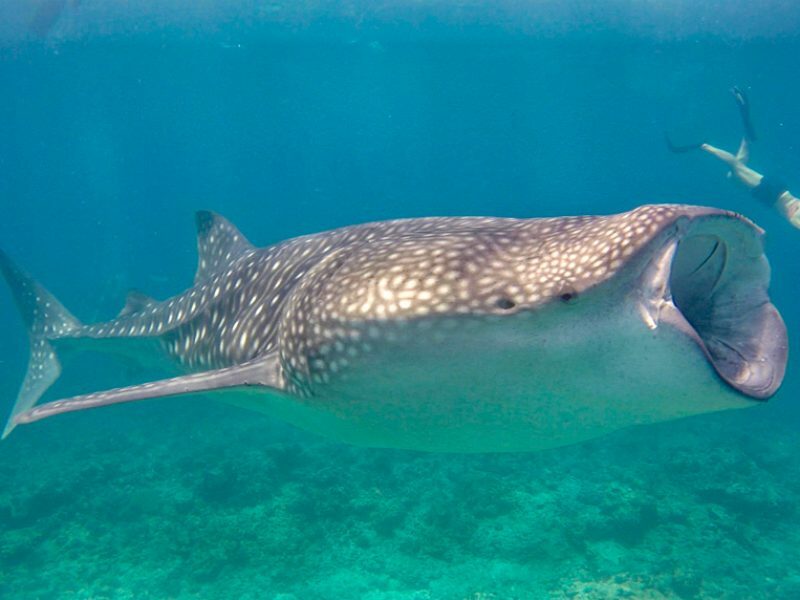 What initially began as a scientific expedition in 2006, the MWSRP has grown to become the only long-term organisation dedicated to study the iconic, yet vulnerable whale shark species in the Maldives. Our goal is simple: we seek to advance the field of whale shark knowledge and to advocate for sound conservation policy in the Maldives. 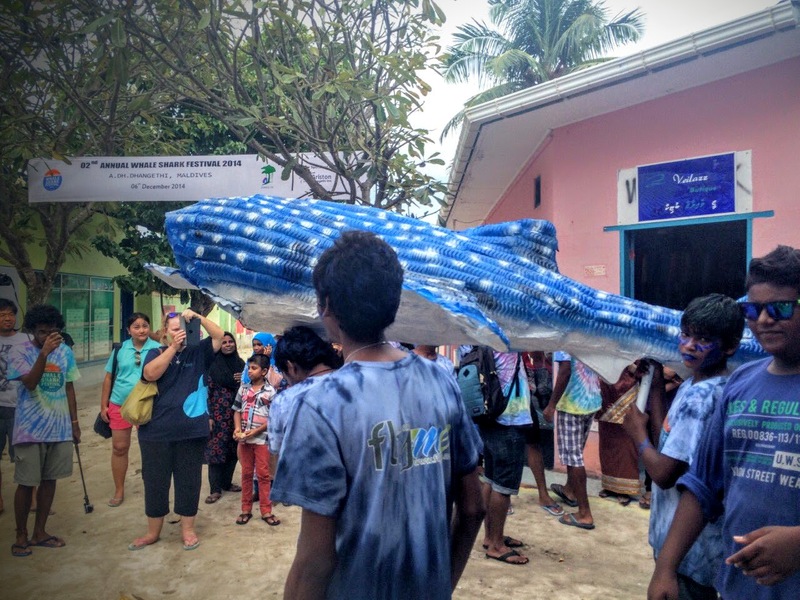 By encouraging and valuing community and industry stakeholder participation, we are able to leverage the scientific research to safeguard the rich biodiversity and fragile marine ecosystems that are the basis for not only whale sharks, but also life, livelihood and culture in the Maldives. Community mobilisation is one of our core values. 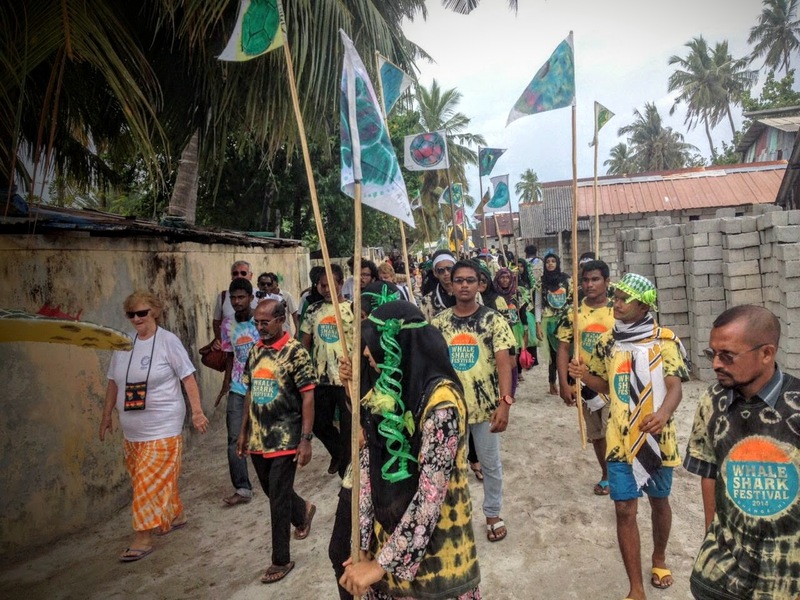 Participation from the local residents of South Ari Atoll and throughout Maldives is very important to the work of MWSRP. Posted on June 30, 2015 at 9:45 am. 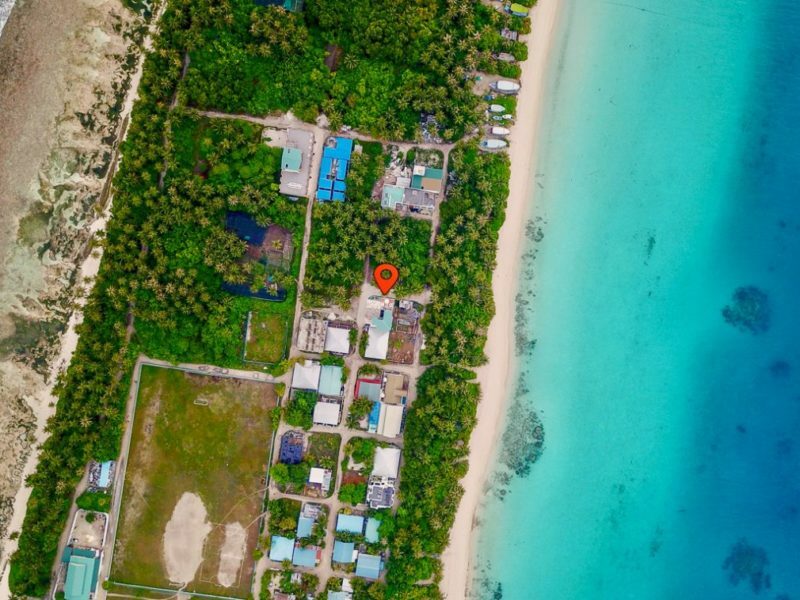 In line with the continuous effort to safeguard the biodiversity and resilience of coral reefs throughout the South Ari Atoll, LUX* Maldives announces that its Marine Biologist Center will start implementing a coral reef monitoring project. 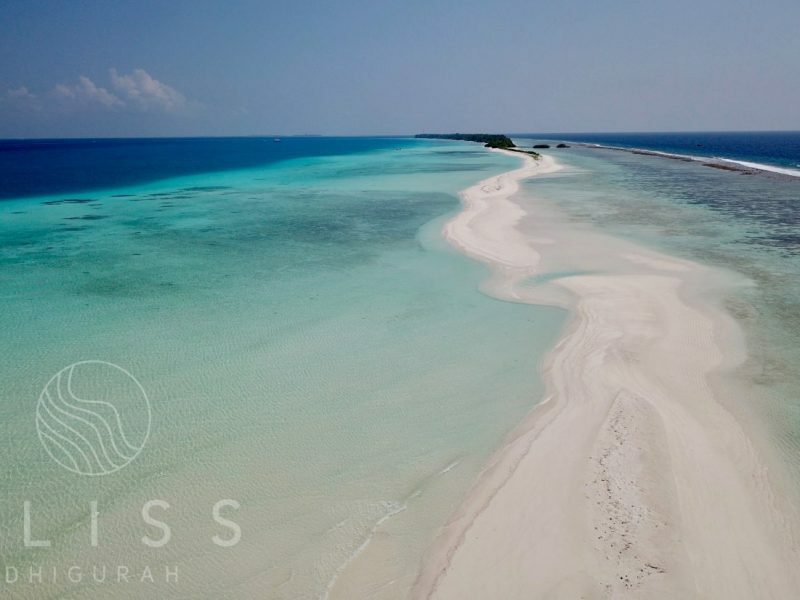 This new conservation project aims to preserve and protect the marine ecosystems around Dhidhoofinolhu island and increase the guest’s awareness about the importance to adopt sustainable environmental practices in order to protect coral reefs, the most diverse and vulnerable ecosystem in the ocean. LUX* Maldives’ Marine Biologist Chiara Mascetti, has therefore conducted a workshop regarding coral reefs and climate changes in the Maldives with the participation of Gabriel Grimsditch, Senior Project Officer at IUCN, the world’s largest environment network. She has been trained on how to recognize coral bleaching and how to collect relevant information and data in order to “help scientists and managers at a national level, to have a better understanding and general trends of health of coral reefs and to identify which parts of the reef are healthy, recovering or damaged”, explains Gabriel Grimsditch. 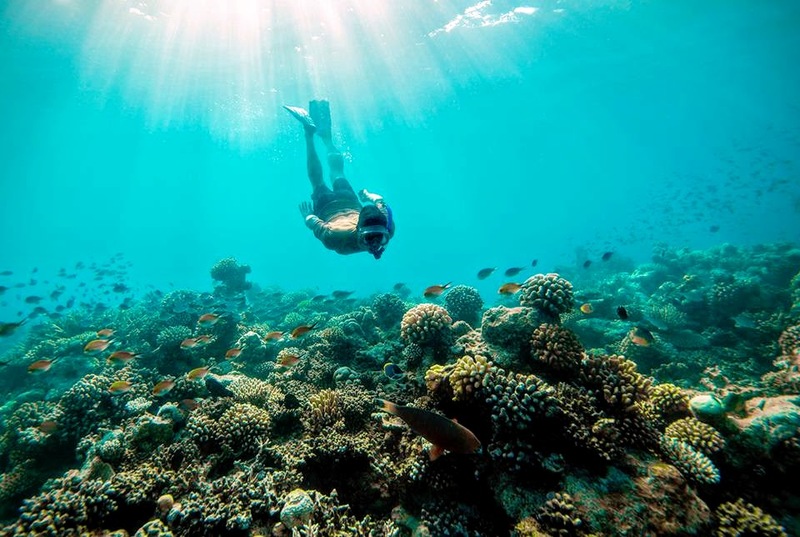 “Monitoring and understanding what is happening on the reef and developing Marine Managed Areas is crucial to implement effective environmental management strategies and decide where to focus our efforts” adds Chiara Mascetti, the Marine Biologist. 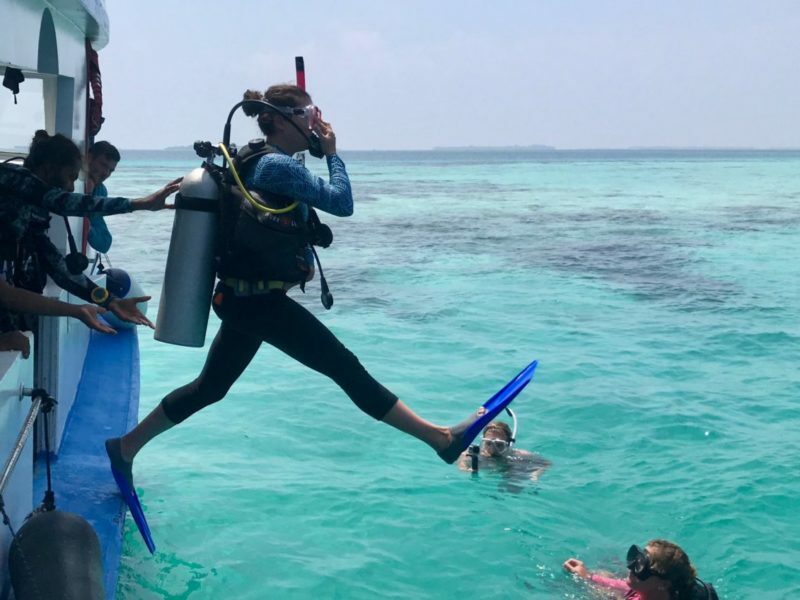 LUX* Maldives has also received recently the Green Fins certification which rewards diving-centers for their environmentally friendly tourism activities. Through the implementation of the Green Fins Code of Conduct, LUX* Maldives world-class PADI Diving Center Euro-Divers will ensure to promote and encourage responsible diving behaviors towards all its guests. “LUX* Maldives has always been highly dedicated to the principles of responsible tourism to lead the way for a brighter future. 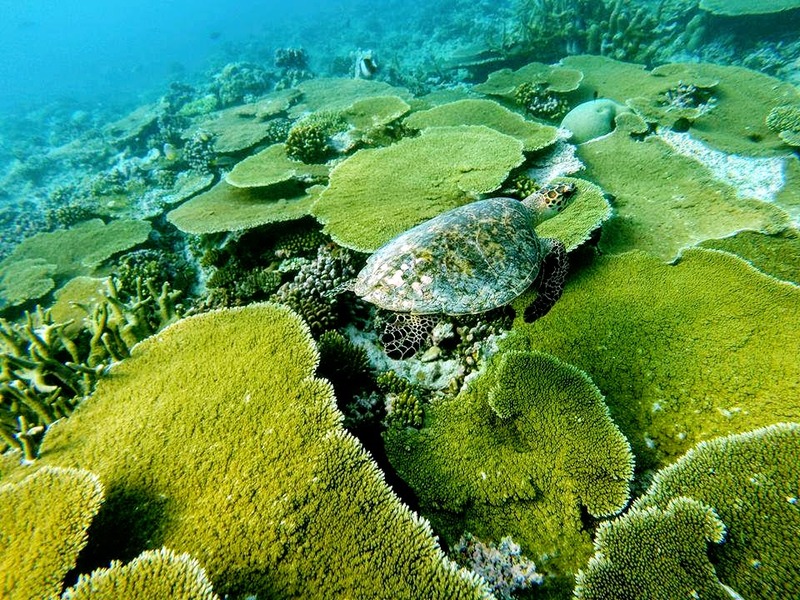 We are particularly proud to strengthen our support to local institutions and national research programmes to preserve, sustain and restore our reefs, which are home to an incredible array of wildlife”, says Shaun Dünhofen, General Manager of the resort. 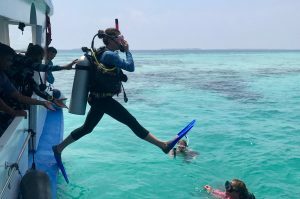 LUX* Maldives’ Marine Biology Center also organizes all sorts of research programs and activities for guests of all ages to raise awareness about marine conservation in the South Ari Atoll of the Maldives. The project REGENERATE, a partnership project between IUCN, USAID and the Government of the Maldives, aims at developing a Resilience-Based Management (RBM) framework to improve the ability of policymakers and stakeholders in the Maldives to understand and address the risks from global, regional and local-scale pressures on their environment. 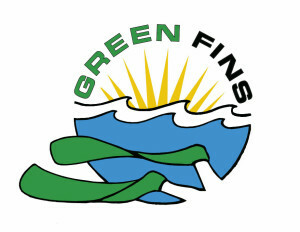 The Green Fins initiative has been initiated by the United Nations Environmental Program (UNEP) under the Regional Seas programme as part of the effort to increase public awareness and management practices that will benefit the conservation of coral reefs and reduce unsustainable tourism practices. It is overseen by the Coral Reef Unit of UNEP based in Bangkok in collaboration with Reef-World. 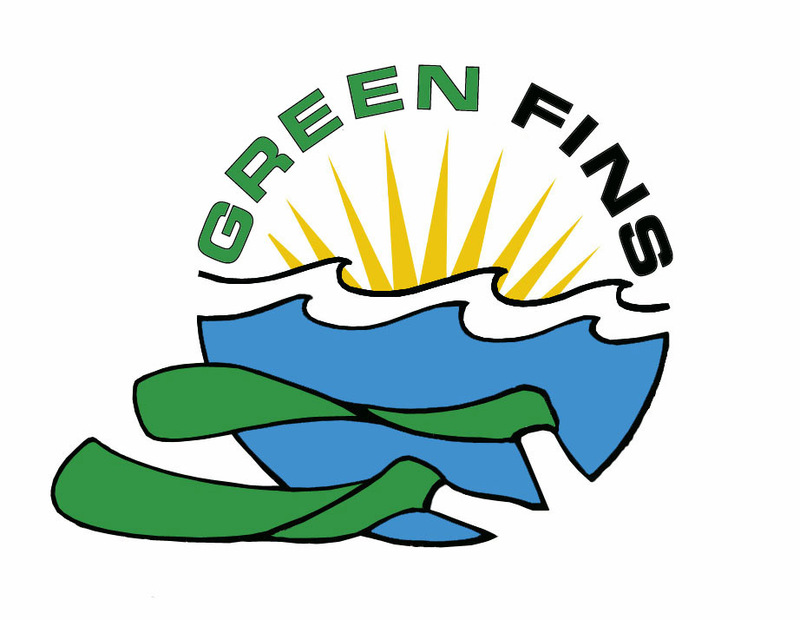 Green Fins is a comprehensive approach that encourages dive centers and snorkel operators, local communities and governments to work together to reduce their environmental impacts. Posted on June 22, 2015 at 12:53 pm. Today, Conrad Maldives Rangali Island has once again been recognized for its outstanding accommodation and world-class food and beverage by one of the most distinguished industry award programs, the World Travel Awards. 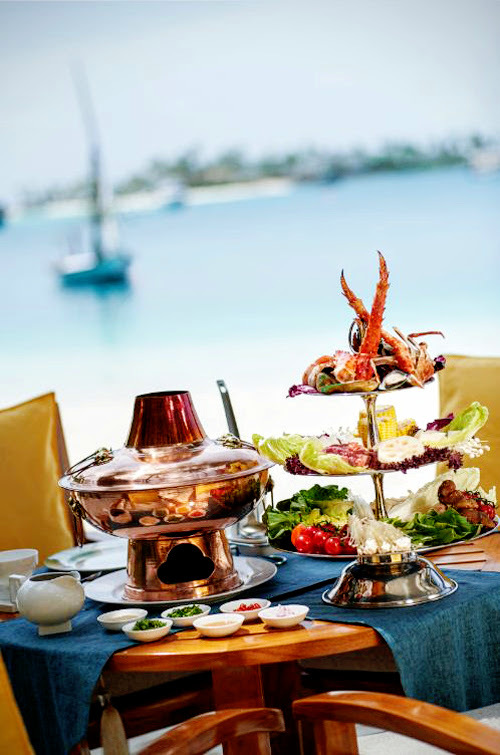 The resort claimed the top spot for Indian Ocean hotels in two categories, being named the Indian Ocean’s Leading Culinary Hotel, as well as the Leading Hotel overall for the region. The awards round off a great season of recognition for Conrad Maldives, as the World Travel Awards closely follow the resort being named to TripAdvisor’s Hall of Fame as a recipient of the site’s Certificate of Excellence for the past five consecutive years – the result of positive feedback received from guests on TripAdvisor. In lieu of being named the Indian Ocean’s Leading Culinary Hotel, Conrad Maldives is celebrating big anniversaries for two of its most distinguished restaurants this year. 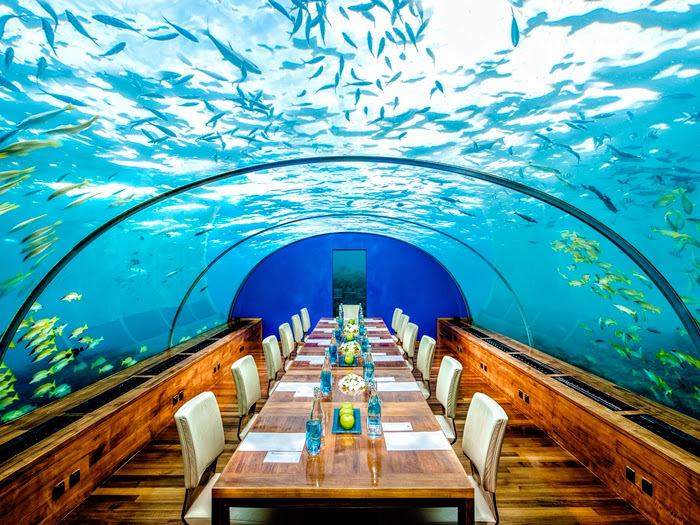 Ithaa, the world’s first undersea restaurant – which helped the resort to achieve global renown as a dining destination – celebrated the tenth anniversary of its opening this past April. Submerged beneath the waves, the all-glass restaurant enjoys panoramic views of the surrounding coral reef and its colorful marine inhabitants, while serving contemporary European cuisine with an emphasis on luxury ingredients. 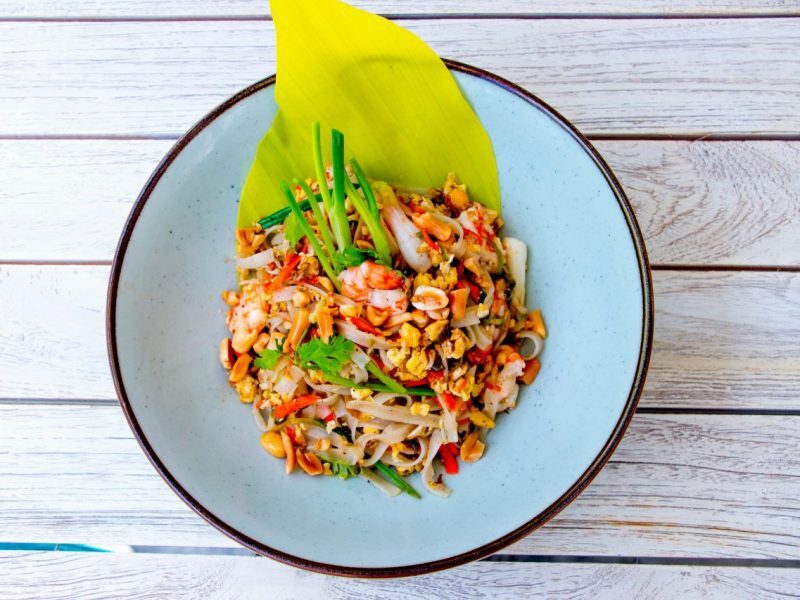 Meanwhile, Ufaa by Jereme Leung, the Maldives’ first authentic Chinese restaurant, will celebrate its first anniversary this September. Blending contemporary and classical elements, as well as Chinese and Maldivian style in all aspects of offerings and décor, the restaurant is a concept of star chef Jereme Leung, and serves everything from dim sum to hot pot on the beach, while featuring Chinese experiential elements such as dedicated Mahjong and KTV rooms. 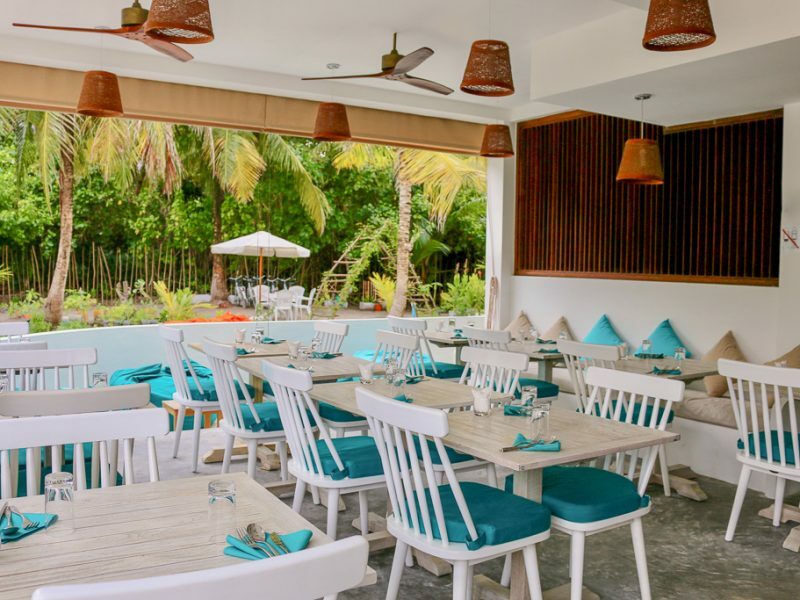 While these two restaurants shine a spotlight on the food and beverage served at Conrad Maldives Rangali Island, the sheer variety of cuisine available on the island across the resort’s 12 culinary venues help explain its title of Leading Culinary Hotel in the Indian Ocean. From Japanese-style live cooking at the open-air Koko Grill to the over 1,400 different wine labels to be found in The Wine Cellar, Conrad Maldives clearly understands that a remote location needn’t prohibit fine dining and good wines: the resort has something to satisfy every gourmand’s appetite. Beyond food and beverage, Conrad Maldives offers exceptional accommodation, service, and environments that help to explain how it claimed the title of Leading Hotel overall in the Indian Ocean. The luxury resort offers three different experiences across two islands: the typical get-away-from-it-all Maldivian hideaway on tiny Rangali Island; the larger and livelier main island (linked to it by a 500m bridge), Rangalifinolhu, featuring water sports and various other facilities; and the over-water destination The Spa Retreat that operates as a resort-within-a-resort set 100m off the tip of the main island. No matter where they stay, guests can enjoy all the resort’s facilities in full, and will also benefit from the world-class anticipatory service of the resort’s exceptional staff – whether via simple bespoke requests or through full wedding and event planning available on the island. Guests can enjoy the exceptional dining and barefoot luxury of the award-winning Conrad Maldives Rangali Island by booking at the resort’s website, or via the Hilton HHonors app. Posted on May 27, 2015 at 11:45 am. 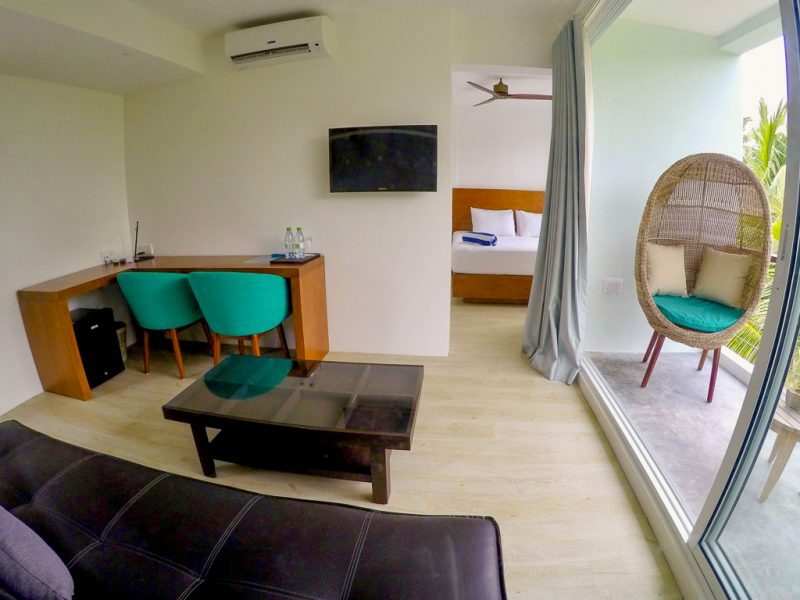 Centara Grand Island Resort & Spa Maldives is set amongst the perfect islands and blue ocean of South Ari Atoll, a five-star resort that offers complete barefoot luxury along with a range of exciting activities that will appeal to singles, couples and families. Whitewashed timber villas with thatched roofs are perched in the lagoon and linked to the island by wooden walkways, evoking the image of a tropical island community, while the suites are tucked into the fragrant gardens. A white-sand beach rings the island, and the reef with its own dedicated shipwreck forms a world of exploration for snorkellers and scuba divers. Under the resort’s Ultimate All-Inclusive plan, this is the island where cash is not required. Guests enjoy champagne breakfasts, a choice of superb cuisines for lunch and dinner, an open bar all day up to midnight, minibar replenished daily, a sundowner cocktail party every evening, generous daily spa credits at Spa Cenvaree, snorkelling equipment, non-motorised water sports and off-island excursions.